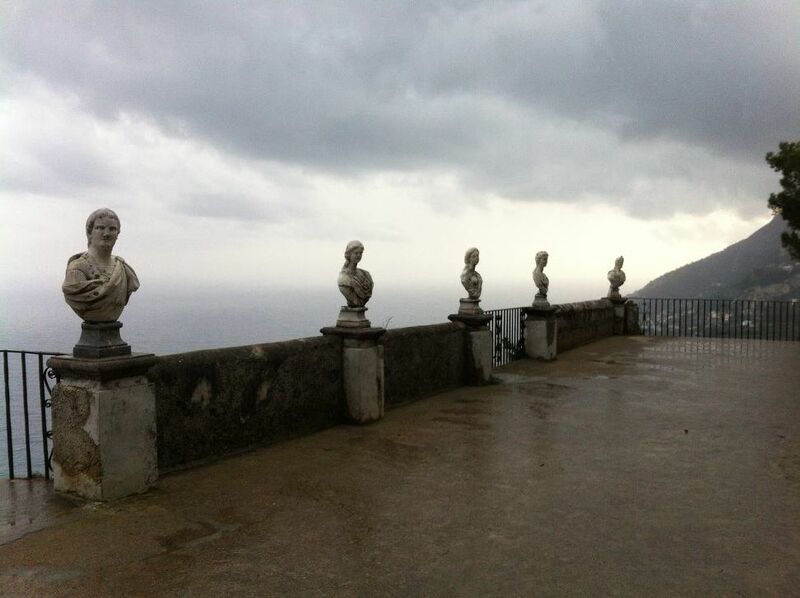 It was 2:30 in the afternoon when I arrived in Ravello, as the rain really started to come down. I kept thinking of the cautions in the guidebooks to “be careful not to miss the last bus back to Sorrento.” The driver said the last bus was at 7:00, but taking those coastal hair pin turns in the dark and rain and wind seemed like a bad idea so I aimed to leave at 4:30. I know, I know. 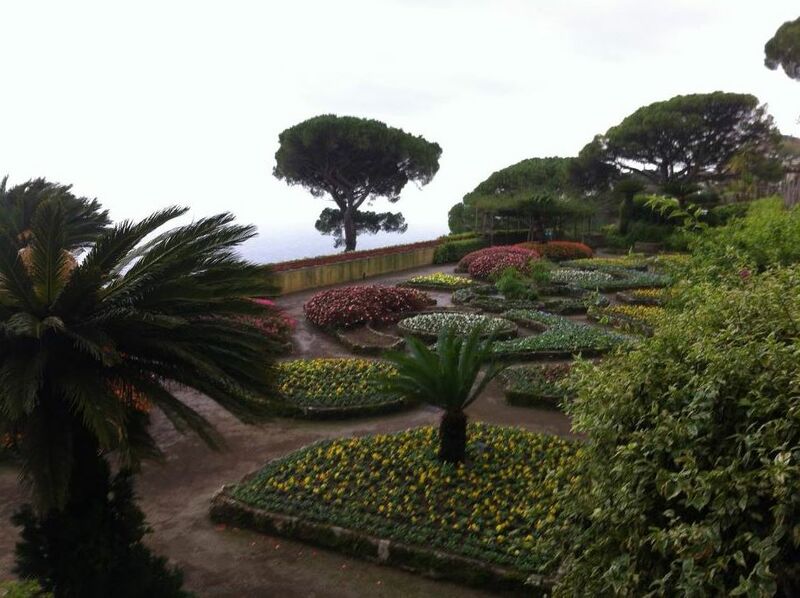 Only two hours in Ravello! But they were two wonderful hours. I walked with my umbrella in one hand and my phone in the other, trying to capture the rainy beauty of the place. 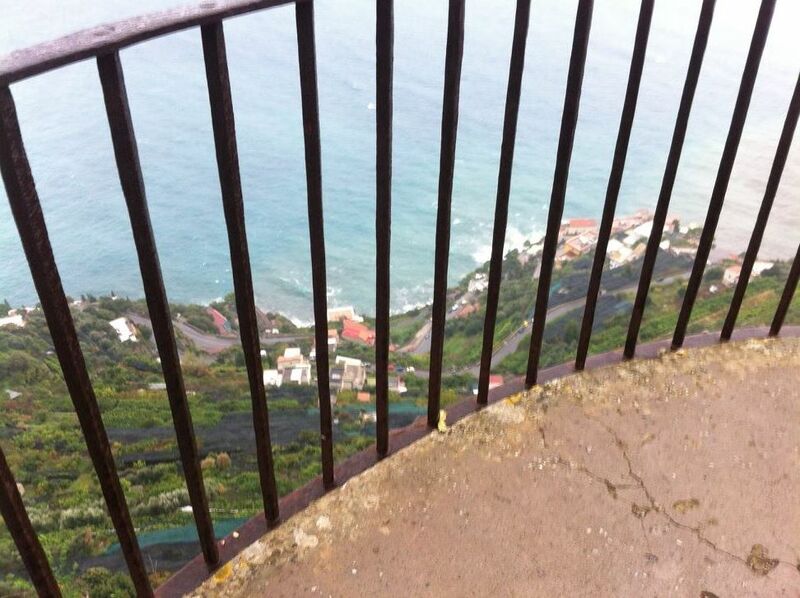 You could get an idea of how blue the sea would be on a sunny day from this overlook. 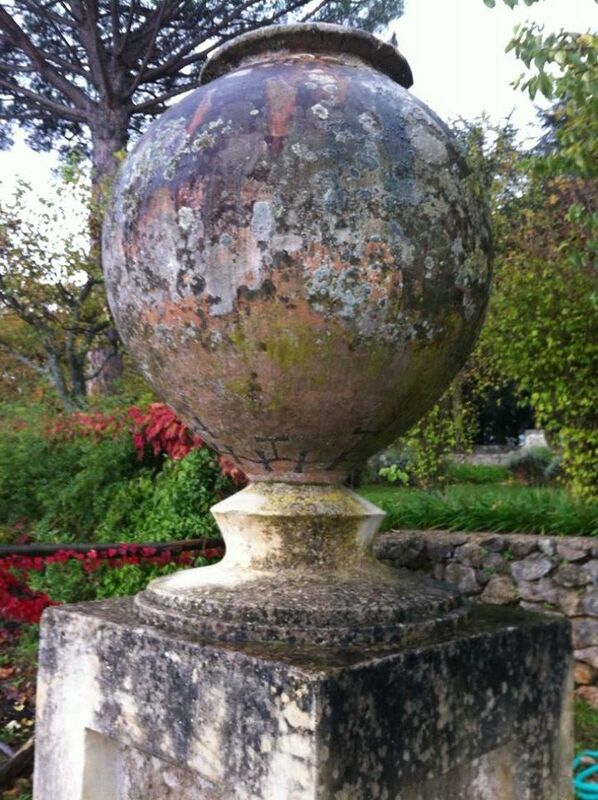 I then followed the path to Villa Cimbrone. It was well signed, but I had no idea how far it was. I met this cat along the way. 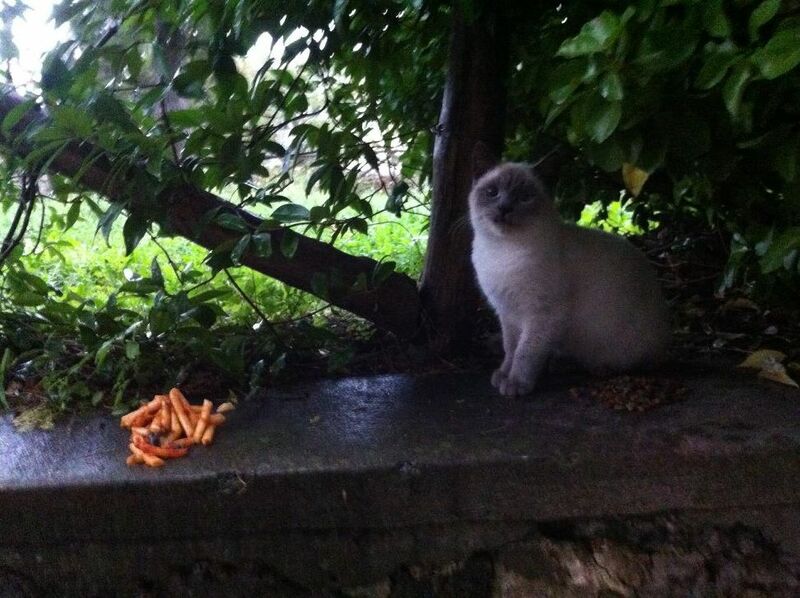 Which would you choose—cat food or leftover pasta? 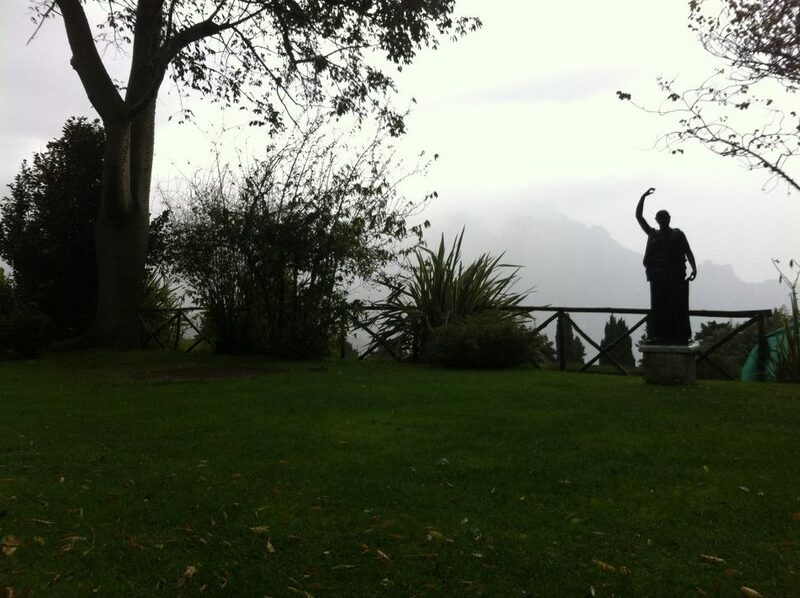 It took me about half an hour to get there, and lo and behold Villa Cimbone (6€) was swarming with tourists. I could make out Hebrew, Chinese, and maybe Russian or Portuguese. Cimbrone was a more formal and extensive villa; I could easily have spent half a day there. There were picnic grounds which would have been enjoyable, a bar that was closed. Sigh. Too quickly, I was back on the bus. 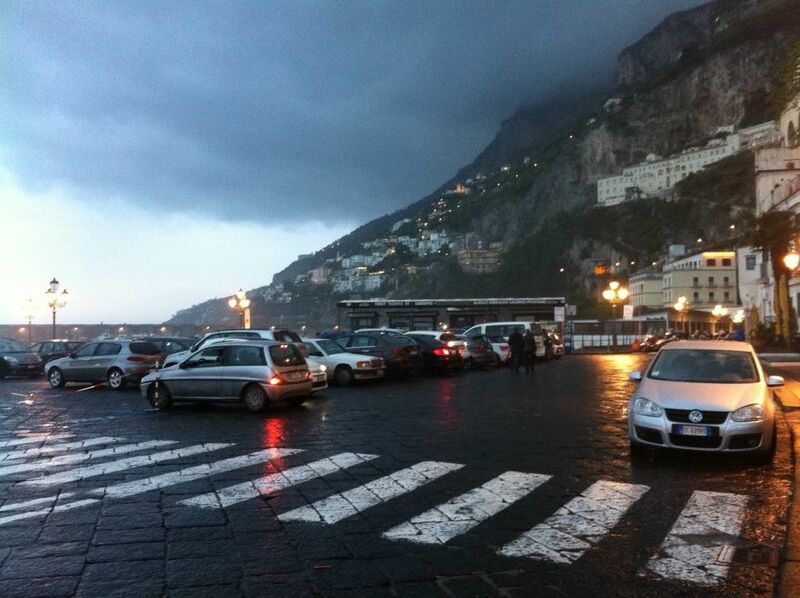 This is a photo I took at the Amalfi stop. The waves were high there, and groups of college kids were posing on the waterfront for selfies. Man, were they going to be sorry, I thought, as I watched them get thoroughly drenched. I got the front seat on the bus to Sorrento. I could see the curves looming ahead in the dark, hear the driver cursing under his breath, and I watched him wipe his palms nervously on his trousers. Signs said, “NO HORN BLOWING” at every curve. The driver blew his horn at each one. I thought about this day, this place. Wouldn’t it be great to honeymoon here, especially in good weather? I thought about my son, Vince. How I wished he would meet a nice woman. I had entered a drawing to win a Viking River Cruise a few weeks before. I daydreamed about giving it to Vince and his wife as a wedding present if I won. Back in Sorrento, there was still a crowd in front of the church, only now they were holding umbrellas so they were harder to get past. Yikes, that was an interesting coincidence. I don’t usually indulge in daydreams about my son getting married, and as far as I knew he hadn’t dated much since being released from prison, so both happening in one day was a bit odd. I bounced back out into the street, thinking I would try again to find the Correale Museum, but I failed again. Then I tried to find the “marina with wonderful seafood restaurants” and struck out. I was walking reluctantly back toward the hotel, when I turned a corner and beheld what in my overactive imagination appeared to be a Fellini movie set. This was going to be good, whatever “it” was. 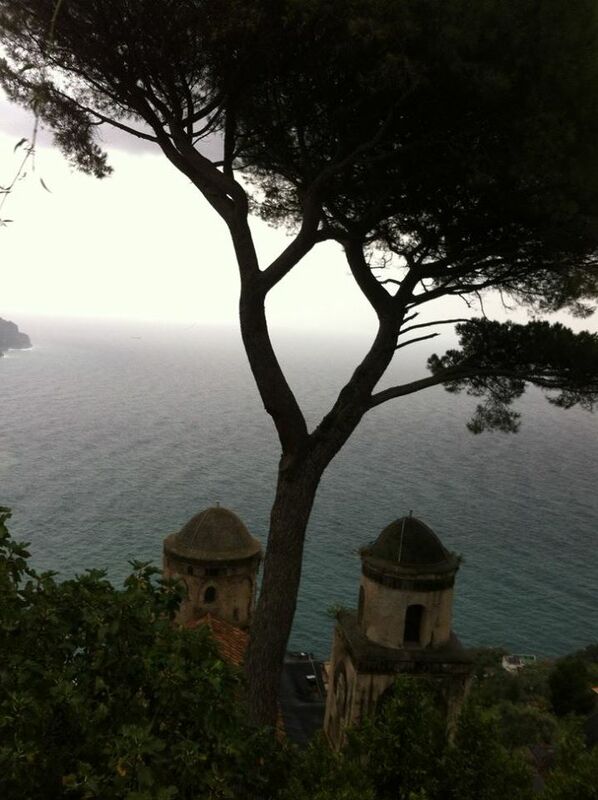 This entry was posted in Adventure, Budget travel, Culture shock, Travel and tagged Italy, parent-child relationships, Ravello, Sorrento, travel on January 10, 2017 by Breaking Free.